I am not quite sure if I understood correctly what design you have in mind. 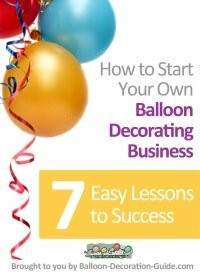 But my advice would be to tie curly ribbon to the balloon necks after inflating them with helium. 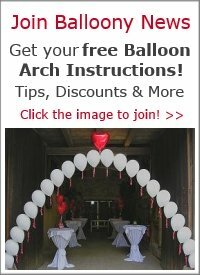 Use the ribbons to attach the balloon cluster to the light fixtures and drape the ribbon afterwards with tulle. 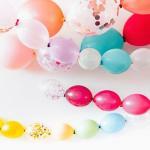 Tulle is not strong enough to support the balloons on its own and gets stretched out. 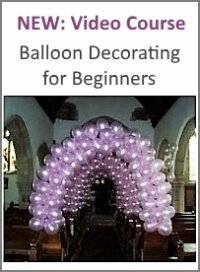 Instructions how to make basic balloon clusters can be found on our "Spiral Column" page: https://www.balloon-decoration-guide.com/balloon-column.html.